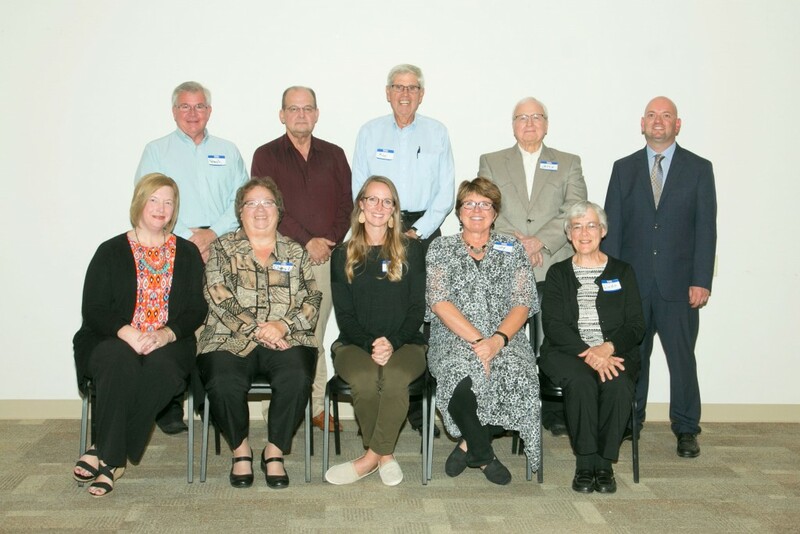 The Harper County Community Foundation is governed by a 12-member board of trustees composed of civic and business leaders. Trustees serve for a maximum of two three-year terms. Front Row: Michelle Fahring, Assistant to the Foundation; Cheryl Adelhardt, Amy Latta, Cathy Spicer, and Linda Biles. Back Row: Paul Hartman, Alan Allenbach, Roy Davis, Jerry Turner, and Kevin Alexander, Executive Director. Not Pictured: Jessica Graves, Suzanne Clark, and Megan McDaniel.